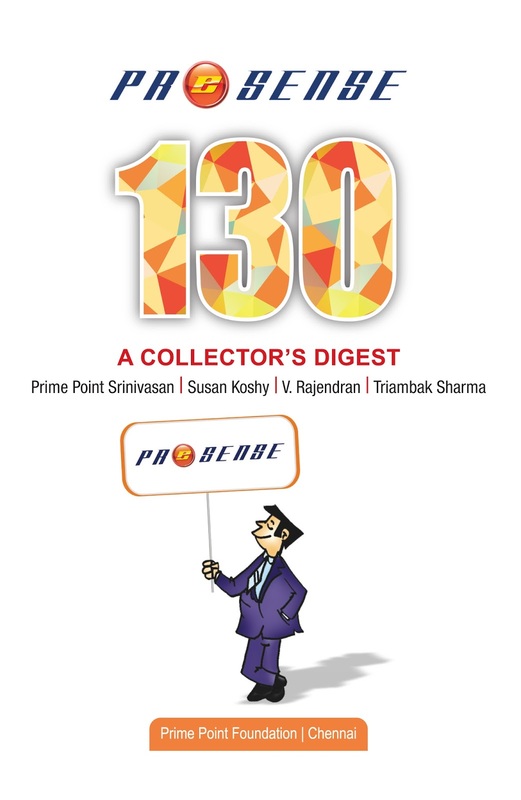 The Editorial Team of ezine PreSense is pleased to release the 139th (Sep 2018) edition broadly with the following contents. 1. Editorial : V Rajendran writes on the recent policy decision of the Government of India to consolidate banks to create big banks. 2. Cover Story: Prof. Prabhakar Krishnamurthy writes on the US-China Trade War and how it may impact India. 4. Global: Susan Koshy writes on the history and culture of Little India in Singapore. 5. Sports: Susan Koshy writes on the challenges faced by Swapna Barman, the sports woman. We request you to kindly share this with your contacts. 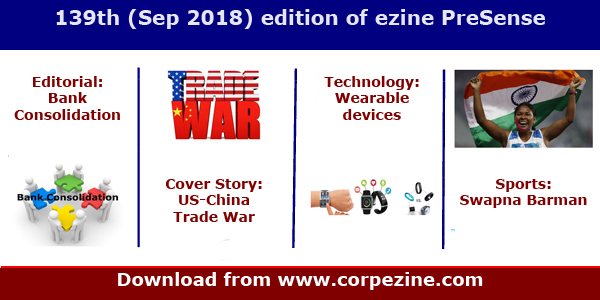 Please share your feedback to editor@corpezine.com. .